Before embarking on a new era of Pac-12 football, let us take some time and reflect on the Pac-10 non-conference record during the Bowl Championship Series (BCS) era (1998-2010). In a three part series, I will first go over the numbers and facts from the Pac-10’s performance in non-conference play from a high level point of view. I will secondly go over the top 5 toughest losses and then lastly go over the top 5 most important victories for the Pac-10 during the BCS era. Thanks to some help from the writers at http://www.thenationalchampionshipissue.blogspot.com, I have replicated the Pac-10 non-conference schedule during those 13 years below. Apologies for the edit as the original chart did not include the 2010 bowl games in which the Pac-10 went 2-2. Full results for all conference can be found here . – The Pac-10 and the Southeastern Conference (SEC) were the only conferences with winning records against other BCS conferences and Notre Dame. – The SEC has a winning record against every other conference except the Pac-10 and the Big East believe it or not. However a lot of those wins took place early in the decade when Miami (FL.) and Virginia Tech were still in the Big East. – While the Pac-10 does own a winning record against the SEC, USC owns four of those wins (4-0). In addition, the last four SEC wins were against Tennessee. – The Pac-10 accumulated a better than .500 winning percentage against BCS teams while playing more than half of those games as away games (118 vs. 112 home+neutral site). – Future Pac-12 member Colorado was 4-9 against the Pac-10 members when they represented the Big-12 while Utah was 10-8 against the Pac-10 while in the Mountain West. – The Pac-10 was 10-5 (.666) winning percentage in BCS bowl games. Even without USC (6-1), the Pac-10 is still .500 (4-4) in the BCS bowl games. 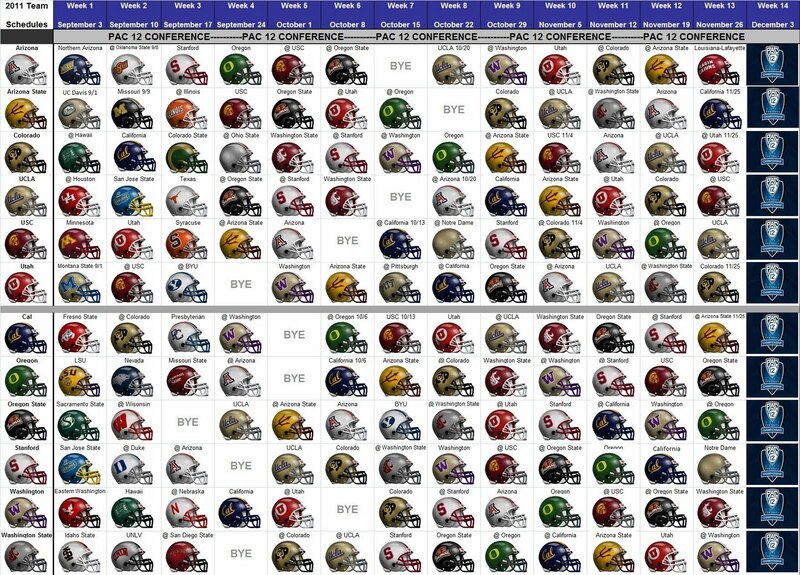 Every other conference aside from the SEC is under .500 in BCS bowl games. 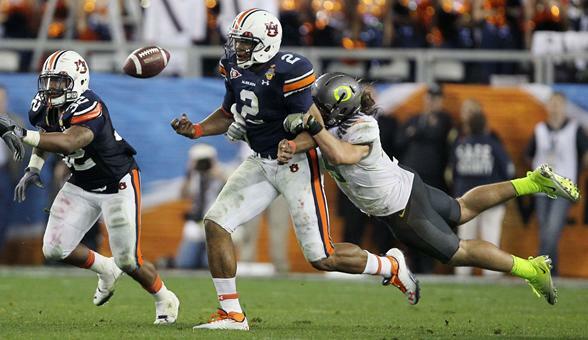 Next up: Five Most Devastating Losses in the Pac-10 Era. Not too much out there today but a couple interesting posts I stumbled on. 2010 just plain sucked. Blame it on Offensive Coordinator Andy Ludwig, Kevin Riley, Brock Mansion, our offensive line, or whomever, but really the blame has to be on Coach Tedford. This is his offense and Tedford is supposed to be this offensive genius. Our offensive was pretty much non existent last season even with Shane Vereen and Keenan Allen. Three years ago when Riley and Nate Longshore was going at it for the starting spot, most of the fans were rooting for Riley and hoping that he could be our savior, but boy were we wrong. Riley has been so inconsistent his entire career at Cal. His own fans were booing him during games and some idiot Cal students were yelling for Brock Mansion to start. Little did people know that, both Brock Mansion and Beau Sweeney were just plain bad (made me miss Riley last season). However, there is reason for hope this upcoming season. Tedford has brought back both the WR coach Eric Kiesau and OL coach Jim Michalczik, brought in a new QB coach Marcus Arroyo, and most importantly Tedford has taken back the reigns as the offensive coordinator and has become very involved with the QBs. Zach Maynard, half-brother of Keenan Allen, will take over as the new starting QB for the 2011 season. 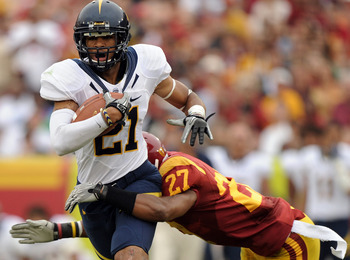 Let’s hope that his running skills brings a new and greater dimension to our offense and that he can connect with Keenan Allen like he did in high school. 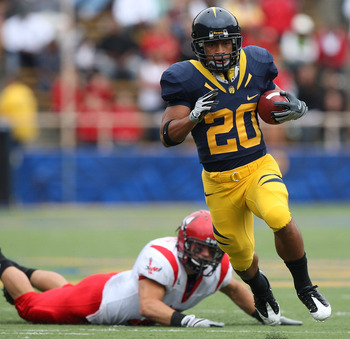 Isi Sofele comes in as our new starting RB hoping to continue the tradition of becoming a 1,000 yard rusher. Many people are already doubting him, but give him a chance and he will surprise you. Most sports analyst have a very bleak view of our new offense, ranking us near the bottom of the Pac-12. There will be a lot of new faces, but with a veteran offensive line and Tedford back in control of the offense, you never know what can happen. My head is still shaking from the disastrous season both Riley and Mansion had last season, but I am going to move on and hoping to God that Zach Maynard will deliver us to the Holy Land that we call the Rose Bowl. With Ludwig gone, Coach Marcus Arroyo is the new QB coach with a lot of help from Tedford. Lets hope that Tedford hasn’t produced a great quarterback since Aaron Rodgers, but that may change because of his renewed involvement with this position. During spring practice, Zach Maynard has shown much speed and ability to think and throw on the run, which something the last few QBs lacked. Maynard brings a new dimension with his ability to run, but his stats at Buffalo shows that he does have a tendency to throw a lot of interceptions. For the 18 touchdowns he threw last season, he also threw 15 interceptions. That is absolutely unacceptable in this level of football. It will be all about discipline and getting that ball out of his hands this upcoming season. Allen Bridgeford is the most likely candidate to be the backup (he showed that he has a great arm during spring practice), even though Tedford has yet to name whether it will be Mansion or Bridgeford. Let’s hope Tedford can bring back his magic.